I spotted the Lewis N. Clark Pomchies Pom-ID on Amazon recently, and was so smitten I asked the manufacturer for samples to review here. 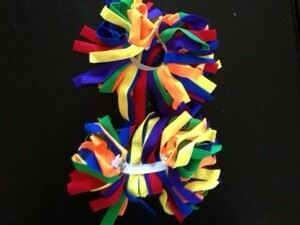 The Pomchie Pom-ID is put on your luggage to make it stand apart from the others on the baggage claim. Though, I think this product has a ton of other uses as well. There are two Pom-ID’s per card, even though when pictured it looks like one big pom pom. 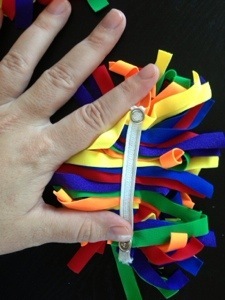 Each Pom-ID has an elastic band with a snap to easily fit over a luggage handle, or attach to an existing luggage tag. My main concern was how dirty this thing could get. Luckily, they can be put directly into the washer machine. But how well will it hold up? I decided to take it for a test drive. I put one of the Pom-ID’s on my diaper bag (aka the backpack) and took it with me everywhere for a solid two weeks. 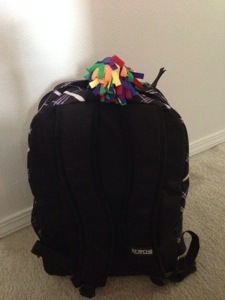 I didn’t have any kind of issue over the two weeks, it stayed firmly on the backpack. There also wasn’t a visible spot on it. 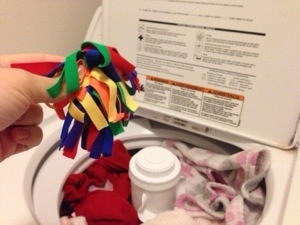 I decieded to throw it in the wash just to see. I was afraid it would come out faded, or stringy, but after a wash and dry it looked new. Actually, a few poms curled, and I kinda think it looks cuter. Overall, it held up really well. 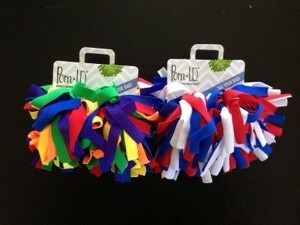 The Pom-ID’s come in a variety of color combinations, and many school colors. So, that leads to the next question, what else could these things be used for? A lot! Think school pride on a backpack, ponytail cover, game day decor, or beer ID. What I think is a fantastic idea is to use them on your luggage, then transfer the Pom-ID to your stroller handle at Disney World. This way your stroller stands out from the crowd, particularly if it’s rented and looks identical to others. The price ranges from about $6 to $10 per card depending on the color combination. Check ’em out over on Amazon! 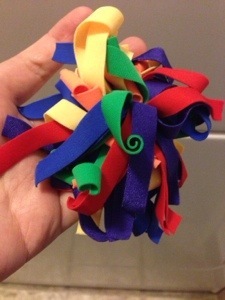 What else do you think these could be used for? Let me know in the comments!